Getting an allotment into shape and keeping it that way is a challenge. This excellent guide is all about the experience of having an allotment and to getting the most from it. 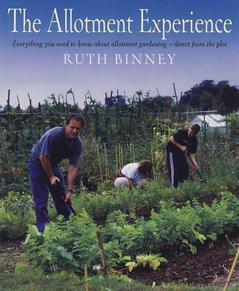 This title gives you the inside story of having an allotment, and of cultivating your garden away from home - full of the wise and often witty words of Ruth Binney - and more than 40 other allotment gardeners she has interviewed for the book. It is not a book about 'perfect' gardening, but a practical guide that is totally true to life. Apart from hundreds of invaluable tips and techniques it also contains stories of failures and disappointments because, as one allotment gardener so rightly says, 'It's all trial and error'. This work covers the wealth of vegetables to grow, fruit and herbs as well as favourite allotment flowers.